It’s Time to Pre-Order for October, 27th! Celebrate Halloween with these Spooky Great Deals – Scrumptious Strip Steaks, That’s Italian Packs, and Rib BLOWOUT SALE! !! 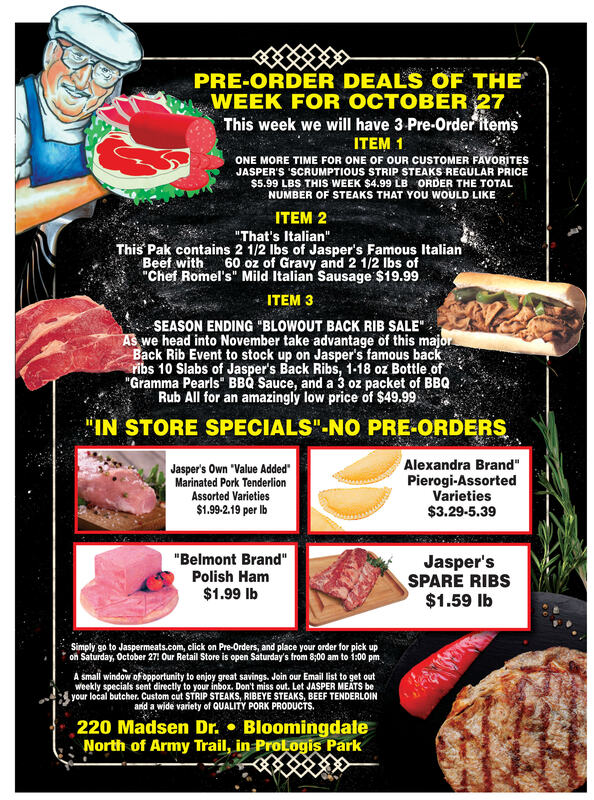 !CLICK HERE PRE-ORDER YOUR JASPER MEATS DEAL!! !